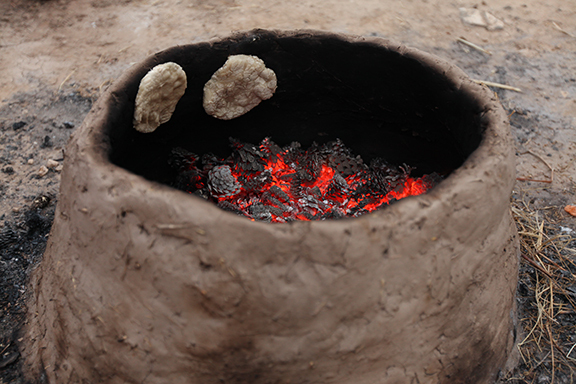 In the summer of 2015, a team from the Tell Halif archaeological excavation decided to make their own tannur (oven) and bake bread in it. Here, William Jessup University students Rose Kania and Jessica Rentz and Tell Halif supervisor Tim Frank make the clay mixture out of which the tannur will be made. Photo: Courtesy of Cynthia Shafer-Elliott. In his book Cooked: A Natural History of Transformation, well-known food author Michael Pollan observes a curious paradox regarding cooking within American culture: “The less cooking we were doing in our own lives, it seemed, the more that food and its vicarious preparation transfixed us.”1 In other words, the further away we get from our food—both in growing it and cooking it—the more of a central role it plays in our society. Pollan points to the massive popularity of TV shows devoted to food and celebrity chefs as proof of our fascination with food. This is an interesting observation that forces me to ponder my own fascination with food, which goes beyond watching the food network, surfing Pinterest for new recipes, or serving a meal to my family or guests. Food as a subject boiled-over (pun intended) into my academic research interests, too. In general, I study the cultural context of ancient Israel both as it is found archaeologically and as it is reflected in the Hebrew Bible. 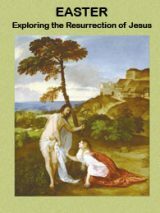 More particularly, I am curious about the daily lives of the ancient Israelites. Some questions about daily life that interest me are: How did the ancient Israelites live? What did they eat? How did they cook it? In the early days of my research, I found that there was a lack of information on what the ancient Israelites ate and how they prepared it. Fortunately, interest in food is now a subject of research within both Biblical studies and the archaeology of the Southern Levant (which includes ancient Israel). William Jessup University students Rose Kania and Jessica Rentz, along with fellow volunteer Samara Wright and Tell Halif supervisor Tim Frank, making the first ring of the tannur. Photo: Courtesy of Cynthia Shafer-Elliott. First, a brief description of what we were trying to build. There are a few different types of traditional ovens that are still used today in the Middle East. One of the most common oven types is the tannur. A modern tannur is a beehive-shaped clay oven, usually close to one meter high, and will typically have two openings: one at the bottom and one at the top. Ethnoarchaeological studies show that after a fire fueled by kindling and animal dung is built on the floor of the tannur, the ashes are raked out of the bottom opening, before using the top opening to slap the dough onto the interior walls or even the floor to bake. Platters and cooking pots could also be placed on top of the upper opening and used for baking or cooking, respectively. Although most archaeological reports refer to ovens as a tabun, they are more like the tannur type of oven. The term tannur is found in the Hebrew Bible fifteen times, seven of which refer to an oven used to bake bread (Exodus 8:3; Leviticus 2:4, 7:9; 11:35; 26:26; Hosea 7:4, 6–7). Cynthia Shafer-Elliott with the complete tannur. Photo: Courtesy of Seung Ho Bang. Our experiment began one morning as we excavated by collecting five buckets of sifted dirt (though only half of the last one was used). It is important that the soil contains clay, and the soil at Tell Halif was perfectly acceptable for this experiment. The next day, Tim went down to the kibbutz stables and collected one bucket of straw. We gathered the next afternoon behind the excavation lab and cleared a place to begin our construction of a tannur. The ground where the oven was placed was moistened before one bucket of dirt was emptied onto it and the straw mixed in. Water was emptied into the middle of the dirt and straw and was used to knead the mixture together. More water and dirt was added and kneaded until the clay mixture had a medium-stiff consistency. Portions of the clay mixture were laid out in a circle and shaped in such a way as to attach it to the ground. The lower rung was extended to a height of approximately 4 inches, slightly inclining inward, and was then smoothed over. Once the bottom rung was complete, the process was repeated over the following days as the oven slowly dried. Each successive layer, slightly inclining, was added, until the tannur was approximately 12.5–13 inches high with a 19.5 inch-wide mouth. Some of the Tell Halif excavation team on baking night. Photo: Courtesy of Seung Ho Bang. To complete the hardening process, a fire was lit using straw and pine cones inside and immediately surrounding the tannur’s walls on the outside. A few days later, dough was made using flour, water, yeast and a tiny bit of sugar (honey would have been more authentic, but none could be found. Salt could not be found, as well). After the dough had risen and was kneaded, it was divided into small balls and left to rise further. A fire was lit inside the tannur using straw and pine cones. Once the tannur was hot enough, the balls of dough were flattened into small loaves and were slapped onto the inside walls. The loaves only needed a few minutes to bake, after which the bread was removed carefully and consumed by the group. About the experiment, Rose, a student from William Jessup University, commented, “I couldn’t help but become more familiar with the [ancient] bread-baking process. Firsthand experience with the mud, bread and fire is far more didactic than any textbook, slideshow or lecture. Being part of this experiment was fascinating and eye-opening!” We were all pleasantly surprised at how well the tannur worked and how tasty the bread turned out. 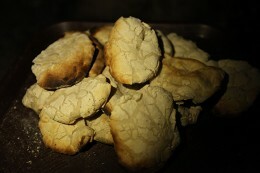 Small loaves of pita bread baking on the inside of the tannur. Photo: Courtesy of Seung Ho Bang. Small loaves of bread that were baked on the inside walls of the tannur. Photo: Courtesy of Seung Ho Bang. Like many ancient societies, the Israelites were dependent upon cereals; so much so that the word for bread, “lechem,” is synonymous with food. The process of turning grain into flour, then into dough, and finally into bread, would have been time-consuming—not to mention the construction and maintenance of the tannur itself. Today, the immediate demand for food can be easily obtained; but, as a consequence, the connection to the food that we eat has weakened—and, to some extent, the connection to our own histories has weakened as well. Archaeology helps us physically connect to the past, and, in this instance, in some small way, it helped connect us to the food of the ancient Israelites. 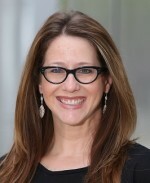 Cynthia Shafer-Elliott, Ph.D., is Associate Professor of Hebrew Bible at William Jessup University in Rocklin, California. Dr. Shafer-Elliott has been part of several archaeological excavations in Israel and is currently serving on the staff of the Tell Halif excavations. She is interested in the daily lives of the average Israelite and Judahite household, including economics, food preparation and consumption, religion and the roles and relationships of the family. Her book Food in Ancient Judah: Domestic Cooking in the Time of the Hebrew Bible is published through Routledge, and she is currently editing a volume entitled The Five-Minute Archaeologist for Equinox. 1. Michael Pollan, Cooked: A Natural History of Transformation (New York: Penguin Books, 2013), p. 3. 2. A special thanks to Tim Frank for guiding us through this project. For more information on experimental archaeology and baking, please see University of Evansville Associate Professor of Archaeology Jennie Ebeling’s work. This Bible History Daily feature was originally published on July 29, 2015. I saw bread (they called it shao bing) made in an oven this way when i worked in China. Just like in the article, the dough was stuck on the inside wall of the oven. It’s “tel”, not Tell. A tel is a hill or mound. The word “tell” is something quite different indeed. Tel stems from Arabic, and is a noun. The word “tell” is commonly used in English as a verb. Two completely different things. Please try to be clear. Language is a wonderful thing when used correctly. This type of oven is still being used in the rural areas of the country of Georgia. I personally watched bread being baked this way in 2011. Since the Georgian word for bread is puri, I suspect MMike is correct that this system of bread baking originated in India and spread to the Middle East and the Caucasus region. I would like there recipe for the dough. Where did they get ingredients from? A very enjoyable read. I love reading my Bible and seeing the practical side of it is very enlightening. Excellent! Leviticus says the loaves for the tent tabernacle took four quarts of flour each NLT. And we’re unleavened. How did hey makeandbake a loaf this big. If the ancient Israelite are anything like they are today, they mostly had takeout. As noted above, this bread is made here in the USA by just about every Kabob restaurant and Indian, Afghanistan, Pakistan cuisine, a ‘Tandoor Oven’. Since India has an ancient culture, it probably originated from there and traveled to the Middle East. Do you know what they ate in bible day , I know they ate bread and honey, don’t know where the honey came from cause they had no bees.If you know what they eat will you masses age to me on Facebook.please Thank you. This looks very much like the Tandoor Oven used in Afghanistan,Pakistan and India. Wonder which tribes took it there !! This is still the traditional way of making bread in rural areas of the Republic of Georgia. I would love to try the food our ancestors ate prepared the way they would have prepared it. Thank you so much for posting this article on how tannurs were used in ancient times! It’s incredible to think that the women of these times worked so hard to get their bread to the family table – and they rose so early in the morning to do so! Several scenes in my new novel, “Miriamne the Magdala”, involve the social aspect in the preparation of meals, indicating the importance of – what was then considered – “women’s work” toward forging bonds between mothers and daughters and strenghtening the family dynamic. Bring Yeshua and Miriamne Home For The Holidays! This holiday season, fall in love with the boy who was destined to be “King of Kings” and the girl who captured his heart in “Miriamne the Magdala- The First Chapter in the Yeshua and Miri Novel Series”! To learn more about this epic novel series and bring Yeshua and Miri home today, just hit the “Shop Now” button at the top of our Facebook page! The Mexicans and Native Americans in New Mexico have what is called a Horno. It is much larger that the oven that you made and there is a bottom above the fire area that foods are cooked on. I would love to have one made in my back yard but right now I can’t afford it. I do love cooking on wood cook stoves also. I have 2 but need to figure out how to put them up in my house. Cynthia if you could contact me I would appreciate it. ; I have a couple of questions to ask you about Jewish cooking. Thank you robert, but all honor to Jesus and his faithful slave, or steward, class. In modern times, Jehovah has never left his people without clear guidance. Just as he did not expect the Israelites to scout out their own route, we today are not asked to find the way into the promised new world on our own. Jesus Christ is the assigned Leader of the congregation. (Matt. 23:10; Eph. 5:23) He has delegated some authority to a faithful slave class, made up of faithful spirit-anointed Christians. That slave class, in turn, appoints overseers in the Christian congregation.—Matt. 24:45-47; Titus 1:5-9. How can we be sure of the identity of that faithful slave, or steward, class? Notice how Jesus himself describes it: “Who really is the faithful steward, the discreet one, whom his master will appoint over his body of attendants to keep giving them their measure of food supplies at the proper time? Happy is that slave, if his master on arriving finds him doing so!”—Luke 12:42, 43. An interesting experiment. Why did they use sugar in place of honey, when honey was not used either – honeybees were not domesticated in ancient Israel, and only wild honey might have been available, but probably not often enough for common use. The “land of milk and honey” – the “honey” refers to ground-up dates (very high in natural sugars), not actual honey, from what I’ve read. A sweetener is needed for starting the yeast process or you end up with flat (unleavened) bread. (I guess if the experimenters didn’t have salt they probably didn’t have any spare dates either, but would have been interesting to taste the difference.) I wonder what the ancient bakers actually used if not the mashed dates (“honey”). Could other fruits have provided the sugar needed? Bread does take a high heat, and with fuel scarce or time-consuming to obtain, no doubt many turned to communal baking to share the heat, or to buying bread, and conserving time, and fuel to cook the rest of the meal at home. Kurt – thanks for the interesting & informative post. Daily Grinding and Baking in Bible.TimesGrinding the flour. Women usually prepared their flour by hand, one of their chores performed early in the day. (Proverbs 31:15; Matthew 24:41) In patriarchal times, the wheat that people commonly grew was emmer wheat, which produced grains that did not easily separate from the chaff. That made the work difficult, requiring pounding in a mortar or grinding in a hand mill. First, the wheat had to be moistened, pounded, and dried in the sun. Then, it was sifted to separate the grain before the milling could begin. Grinding enough flour for the family could take hours, and “the sound of the hand mill” was common in towns in Bible times. (Jeremiah 25:10) Larger millstones turned by animals also came into use when the job was done by a miller rather than the housewife.—Matthew 18:6. Baking the bread. Baking was the next stage of the daily routine. The housewife would mix the flour with water, knead the dough, and then bake the bread. (Genesis 18:6) Some householders simply baked the bread on hot stones; others used small ovens. 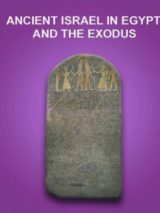 (Leviticus 2:4; Isaiah 44:15) Prominent people, such as the Pharaohs, counted on professional bakers to prepare their bread, but in later years even the common people purchased bread. (Genesis 40:17; 1 Samuel 8:13; Isaiah 55:2) Jerusalem had a “street of the bakers” during the days of Jeremiah, and one of its towers was called “the Tower of the Ovens” in Nehemiah’s time.—Jeremiah 37:21; Nehemiah 12:38. This type of oven known as tandoor is very commonly used in various parts of India to make different types of bread. You can also prepare chicken in that and it is very tasty and healthy. Sounds like an interesting experiment. She is right in that “doing” a thing often brings a level of knowledge and familiarity that does not “come” with just reading a book or watching a slideshow. And interesting also her comments about our increased fascination with process — such as watching cooking shows. I suspect some do watch for the odd idea or hint that might help THEM prepare something differently. But I doubt most of us watch such shows entirely for that reason. This is a very normal practice of baking breads in Afghanistan. Very tasty to have it hot. In the spring of 2012 I found just this bread made just this way baked and sold freshly right in the centre of Palestinian Hebron. As it was just before Pessach my daughter (a student in Israel at the time) bought a large packet as bread was going to be hard to come by in Israel. And you’re absolutely right, it’s delicious.